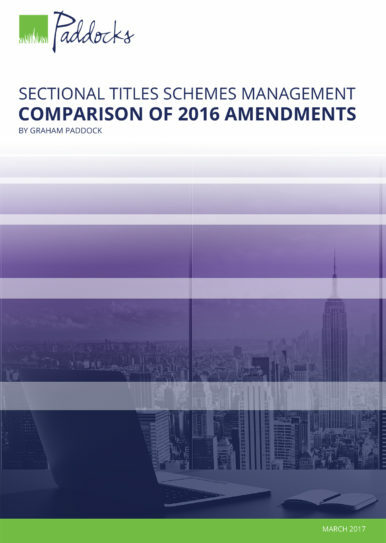 The Paddocks Sectional Titles Scheme Management Bridging Course Notes highlights the most fundamental amendments contained in the Sectional Titles Schemes Management Act 8 of 2011 (“the STSM Act”). 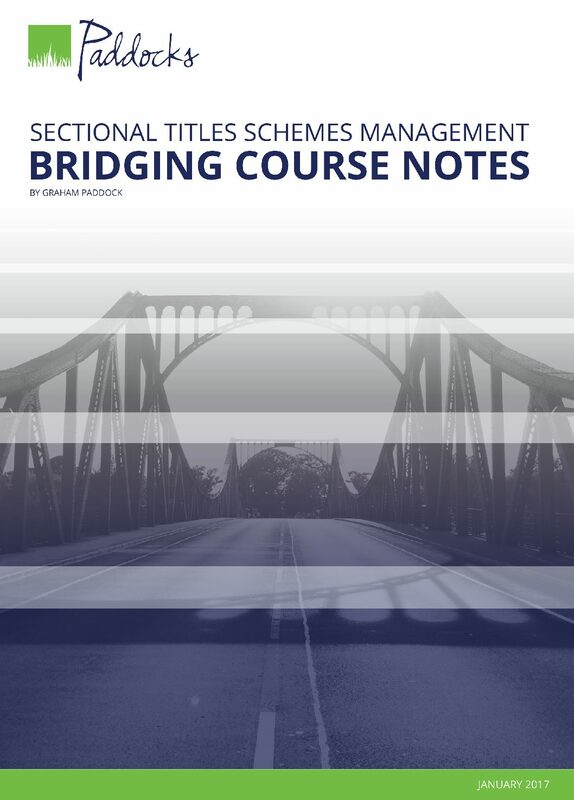 The Paddocks Sectional Titles Scheme Management Bridging Course Notes highlights the most fundamental amendments contained in the Sectional Titles Schemes Management Act 8 of 2011 (“the STSM Act”). 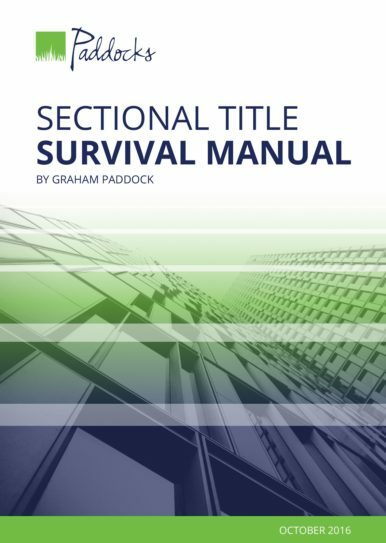 It is designed primarily for those who need to supplement their existing knowledge on sectional titles management by drawing attention to and commenting on the most important changes in the STSM Act and its regulations, when compared to the management provisions in the Sectional Titles Act 95 of 1986 (“the ST Act”), and to the new concepts introduced and amendments made to management and conduct rules prescribed in terms of the STSM Act. 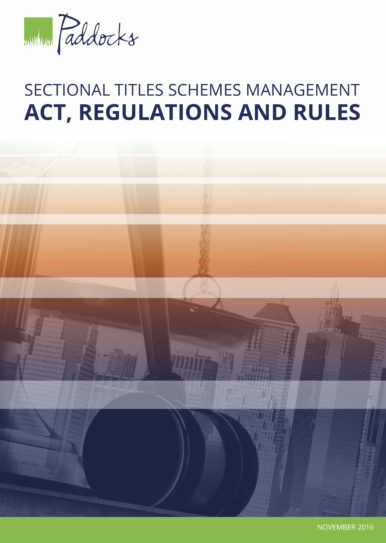 The handbook will also refer to the to the Community Schemes Ombud Service Act 9 of 2011 (“the CSOS Act”) where its provisions impact scheme management and administration, but will not be dealing in detail with the establishment and operations of the Community Scheme Ombud Service (“the CSOS”). 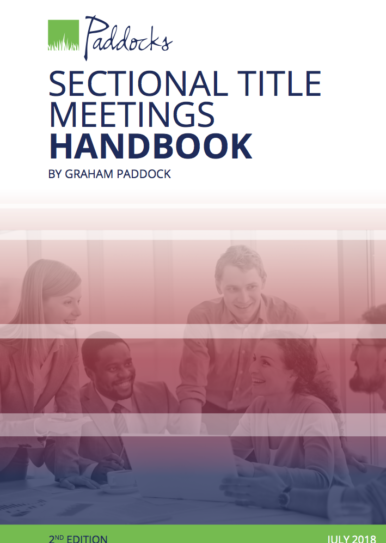 Body corporate chairpersons, trustees, owners, managing agents, developers, attorneys and other role players in the sectional title industry will benefit from this book.